In a room with zero architectural features, try this trick: Paint a color two-thirds up the wall, and the top one-third white. (Strong colors could make ceilings seem lower, so we favor neutrals for this.) The color becomes a frame for furniture and a no-fail hanging guide for art. 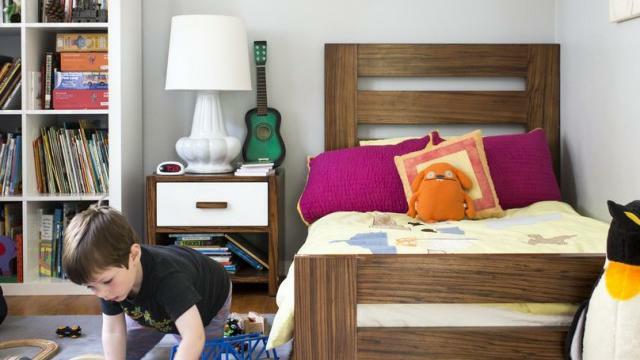 This solution isn’t limited to kid’s rooms. Consider it for any blank-box room that could use a little character.